Social Security offers a minimum benefit to retired workers with very low career earnings. 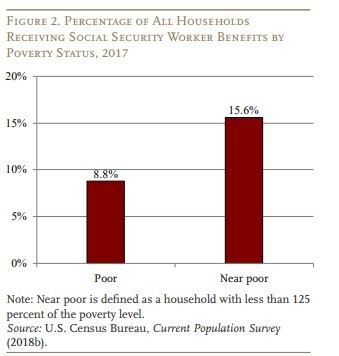 However, according to the final paper in a series of issue briefs on modernizing Social Security published by the Center for Retirement Research at Boston College, the current level of this benefit is not enough, by itself, to prevent poverty even for full-career workers, and it is withering away due to a design flaw. As a result, many policy experts support redesigning the minimum benefit. Reform proposals, though, do differ over the extent to which part-time workers and those with shorter careers should also be eligible for a minimum benefit. “Overall, any improved minimum benefit would reduce retiree poverty, and its cost could be offset by reducing benefits somewhat for higher earners,” researchers added.